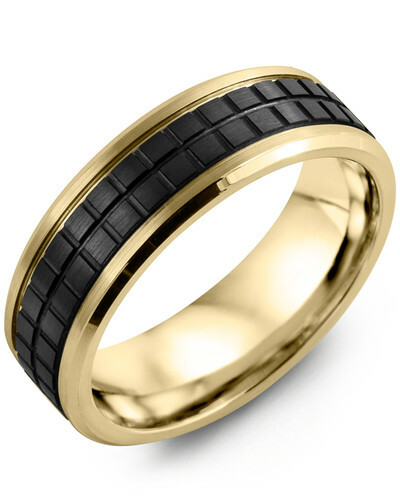 RAK - Men's Checkered Black Ceramic Gold Wedding Band This Checkered Black Ceramic Gold Wedding Band for Men stimulates the sensory pleasures. 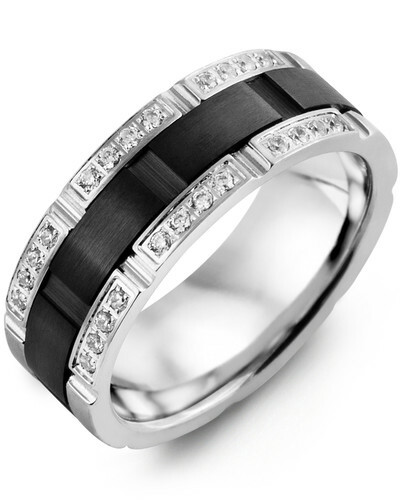 Highly tactile and a joy to wear, it features a classic beveled wedding ring beautifully embellished with a black ceramic inlay. The Inlay has a unique checkered design that quietly demands attention. 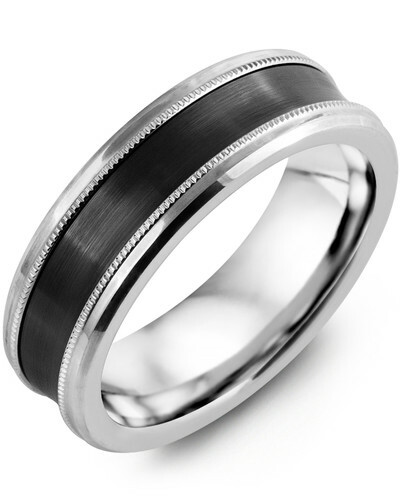 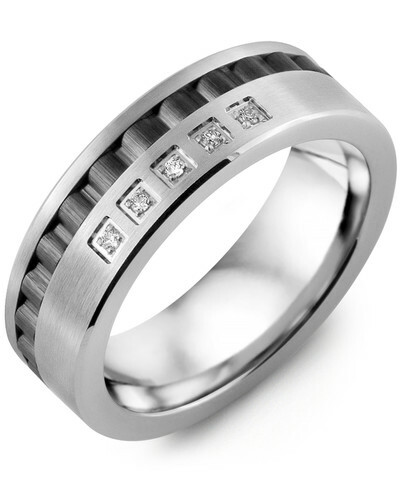 Offered in various widths, three gold colors and 10kt, 14kt, or 18kt options, it is an exceptional wedding band for modern grooms who like to stand out in the crowd. Personalize with engraving. This Checkered Black Ceramic Gold Wedding Band for Men stimulates the sensory pleasures. Highly tactile and a joy to wear, it features a classic beveled wedding ring beautifully embellished with a black ceramic inlay. 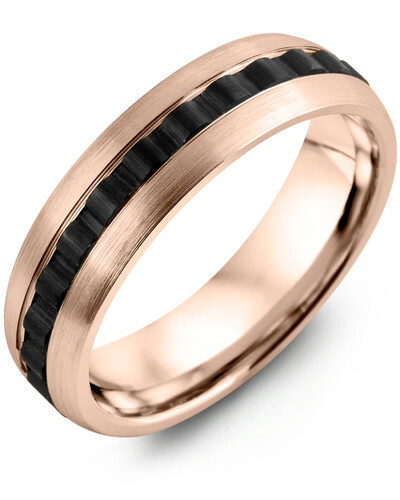 The Inlay has a unique checkered design that quietly demands attention. Offered in various widths, three gold colors and 10kt, 14kt, or 18kt options, it is an exceptional wedding band for modern grooms who like to stand out in the crowd. 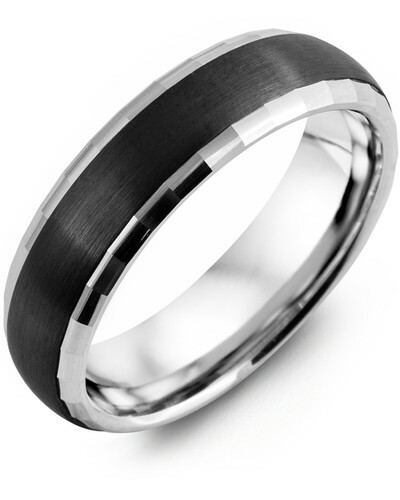 Personalize with engraving.